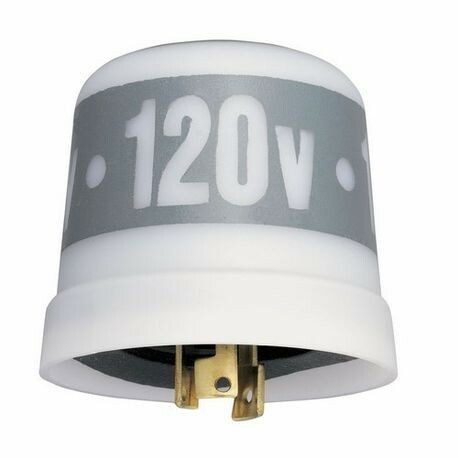 The 120 V 50/60 Hz. 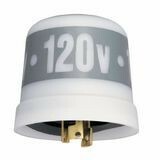 1000 Watt T w/Lightning Arrestor Locking Type The LC4500 Series Photo Controls feature low cost locking-type mounting, and thermal-type controls for street lighting and other applications requiring a twist and lock type plug connection. Thermal-type photo controls provide dusk-to-dawn lighting control and a delay action, which eliminates loads switching OFF due to car headlights and lightning. The thermal-type controls feature a cadmium sulfide photocell and polypropylene case to seal out moisture. The design utilizes a dual temperature compensating bimetal and composite resistor for reliable long life operation over ambient temperature extremes.